Chris Brown has taken the highroad in the twitter war with Raz B and his brother Ricky Romance. Chris has said he is sorry for his sexual remarks that people perceived as homophobic. Chris and Raz B got into a twitter war yesteday because Raz B decided to tweet the fact that Chris beat the crap out of Rihanna. He said that it was disrespectful of him to beat her. Chris took exception to this and came out swinging. Things got really out of hand when Raz B’s brother Ricky Romance got into the mix threatening Chris and demanding an apology. Sounds like damage control to me by Chris’s people. 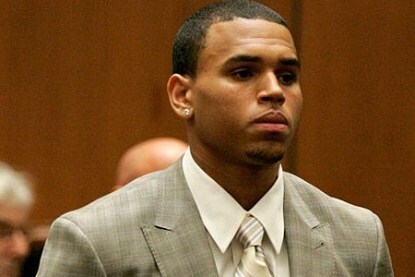 I think in this case Chris Brown should have ignored this situation – he does not need more bad publicity. Raz B a more or less nobody and his gangsta wanna be brother are just trying to get some publicty. So what do they do? They pick a fight with Chris Brown (Rihanna beater) who they know is hot headed. Chris Brown fell for it and fought back and Raz B and brother got exactly want they wanted – their names in the news. If Chris wants to move on with his life after Rihanna – he has to start avoiding the drama.